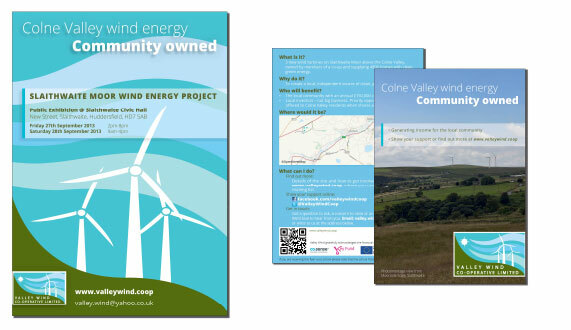 This partly charitable work was to help a wind farm cooperative promote the final stages of planning to the local community. 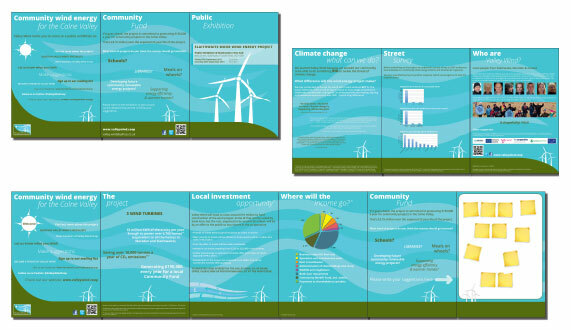 A clear and concise visual identity with clear information needed to be communicated to a varied audience. Flyers and a poster were produced to spread awareness of the event. 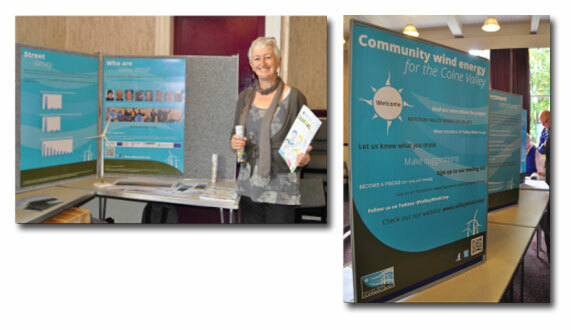 Exhibition panels were designed for the event. They included info graphics, data and facts. Illustrations were mainly used as the final outcome had to be printed on a large scale retaining high quality. The final panel at the exhibition was made for Post-It notes to be stuck on to record feedback. The exhibition was a huge success and over 1,000 people attended the event over two days. The wind farm is still to be granted planning permission; I wish this valuable, positive project success.